The Supreme Court of India on Tuesday refused to stay the order passed by the National Green Tribune that had allowed the reopening of Vedanta's Sterlite plant in Thoothukudi. This has now cleared the way for Vedanta to reopen its copper smelter. The National Green Tribune in December had dismissed Tamil Nadu's government to shut down Sterlite plant. However, the state government filed a plea against the order stating that the tribunal had no jurisdiction in the matter. Sterlite plant was ordered to be shut down by Tamil Nadu after violent protests in Thoothukudi in May which led to the death of 13 people. ஆண்களின் திருமண வயதை 18-ஆக குறைக்கக் கோரிய மனு: உச்சநீதிமன்றம் அதிரடி! சபரிமலை வழக்கு: பாஜக இளைஞர்கள்மீது தண்ணீர் பாய்ச்சிய காவலர்கள்! சபரிமலை வழக்கில்.. மறு சீராய்வு மனுவை தள்ளுபடி.. உச்சநீதிமன்றம்! பதவியேற்றார் புதிய தலைமை நீதிபதி.. ’அதிரடி தீர்ப்புகள்’ சொன்ன தீபக் மிஸ்ரா ஓய்வு! ஒழுக்கத்தை பாழாக்கும் தீர்ப்பு: பாப்பையா கருத்தால் சர்ச்சை! 'பெண்ணும் தீட்டல்ல'.. மாற்றம் ஒன்றே மாறாதது! This page contains news relating to various facts and events. The views are generally about current affiars and general topics in diversified areas such as political, international, national, and regional issues, sports, health, travel, lifestyle, technology and business. People having similar interets on the above topics will find this page useful. 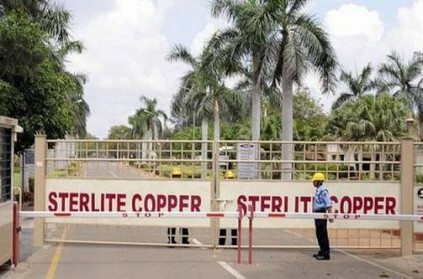 SC refuses to stay NGT order - Reopening of Sterlite Plant cleared | Tamil Nadu News.